Routine monitoring of your equipment is very necessary for deriving information about the condition of your equipment. If you don’t acquire the data in a timely manner, you will miss early warnings of developing problems. Condition monitoring is the process of monitoring a parameter of condition in machinery (vibration, temperature etc. ), in order to identify a significant change which is indicative of a developing fault. 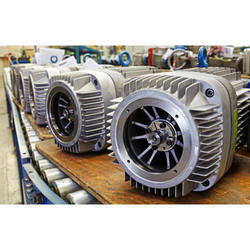 It is a major component of predictive maintenance. The use of condition monitoring allows maintenance to be scheduled, or other actions to be taken to prevent failure and avoid its consequences. Condition monitoring has a unique benefit in that conditions that would shorten normal lifespan can be addressed before they develop into a major failure. 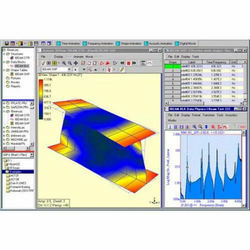 VibAnalyst TM is a Complete Vibration Analysis Software conceived with a vision to break the conventional one Software – one Hardware format. This is the First Machine Condition Monitoring Software to be Conceptualized and developed in INDIA. Coined by team comprising of engineering experts from Condition Monitoring industry and skilled software developers. VibAnalystTM has a unique capability of interacting with multiple Vibration Data Collectors and Analyzers. Many high-on-demand Vibration Data Collector and Analyzers are already compatible with VibAnalystTM and more names are being added to this ever-expanding list. We use Operating Deflection Shape (ODS) to see how a machine or structure moves during an operation, either at a specific frequency or moment in time. It contains overall dynamic response of a structure which occurs because of forced and resonant vibration. 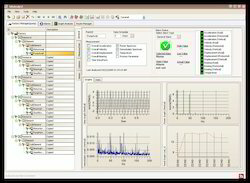 The Bearing ExpertTM is a modular PC based interchange and vibration frequency database. This unique PC driven software tool compliments in-house maintenance, engineering, and vibration analysis tasks by providing immediate access to bearing, oil seal, and vibration data for all current and past manufacturers of these products. This product is the result of years of research and experience by engineering and MRO professionals like you. The tool is designed from the user perspective and is quick, easy to use, and brings significant immediate cost savings to the plant environment. The Bearing ExpertTM provides an automatic Multiple Manufacturer Vibration Frequency Report. It is the only product that can produce multiple frequencies with one request and is the largest vibration frequency database available worldwide. The Multiple Manufacturer Vibration Report is generated from the same initial request for interchange data and requires no additional steps. The frequencies are calculated at the RPM (Revolutions per Minute) or CPS (Cycles per Second) value the user specifies. In conjunction with the Multiple Manufacturer Vibration Report, The Bearing Expert also features the Harmonics Report. The user may select the number of times they would like to have the frequencies calculated for each report. The default is for 10x's Harmonics. The Bearing ExpertTM is the source for Vibration Frequencies. It has the support of leading Condition Monitoring Software Providers, Consultants, and Bearing Manufacturers alike (See Partners). The database is updated on an annual basis. The Bearing Expert Database requires no training. Easy to use Menu features walk you through the search options and report options. The intuitive search engine enables you to select part numbers based upon your current knowledge of the bearing in question. You input the data you have available to you. The Bearing Expert will help you narrow your selections. No research is necessary to locate the data for your part number. The Site Link Search options provide you with data points for multiple manufacturers allowing you to compare and analyse the data presented to best suit your requirements. The new Prefix and Suffix Descriptions are displayed to further assist you in breaking down the part number in question to meaningful data searches. Just a few simple keystrokes will complete your search. Looking for Machine Condition Monitoring Software ?